The holiday season is upon us once more! The part of the year associated with family gatherings and relaxation, it is a period when we unwind and enjoy ourselves. But what if we have to move during this season? Will it turn the romantic relaxation time into a stress-filled frenzy? Not necessarily! Just follow our guide and you will be able to avoid the usual problems connected to moving during the holidays! With every move, the organization is very important. But it becomes even more important when moving during the holidays. First off, it’s a very busy time for the movers. 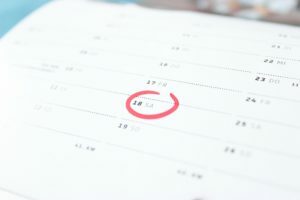 While not considered “peak season” for moving, the holidays are a time when a lot of people move, using the days off to organize the affair. Also, the movers are people too, with lives of their own and they like to enjoy their holidays just as much as the rest of us. So you might find that some of them don’t work during the days you planned your move. Or they might work shorter hours. Also moving during the holidays is, in general, more costly, mover-fees wise. So plan your move well ahead. If able book your movers a few weeks in advance. Planning becomes even more important when moving during the holidays. Secondly, there’s your own tight schedule. 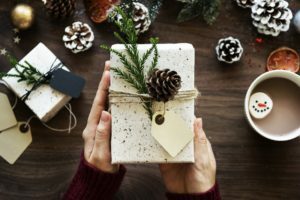 Not only will you be preparing for the move, but you will probably be doing gift shopping or preparing for the holiday get-togethers. Here, planning in advance shows its importance as well. A good trick would be to form a moving calendar. Plan your activities in a way that leave the holiday days themselves free for relaxation. Trust us, it will mean a lot to you. On the other hand, maybe your schedule is so packed that you can’t afford to take a whole day off. In that case, plan your moving preparations in such a way to leave yourself at least the afternoon of one of the special days for relaxation. It might seem counter-intuitive to set aside such a large chunk of your time for doing nothing, but being well rested will help you keep your moving plan on track. Another issue closely tied to moving organization is the packing. While carefully planning out what to pack first is a good idea with every move, it becomes even more crucial when moving during the holidays. Take into consideration when your move will be happening. If the moving preparations will include a day of the holidays, leave the decorations out and pack them last. This way you will be able to enjoy the festive spirit in your decorated home, while still being on track with your moving plan. Just make sure you don’t leave too many of them out. 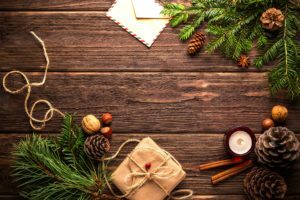 While it could be tempting to go full out on decoration and enjoy the holidays to the max, you will still have to pack all that up for the move. Keeping the decorations moderate will make your move easier. Decorate your home enough that you feel the holiday joy, but don’t overdo it. On the other hand, if you will be moving into your new home right before the holidays, prepare a decorations box for easy unpacking as soon as you arrive. This will make it easier for you to quickly decorate your new place and to fully enjoy the holidays. Unpacking your summer clothes or books can wait, but decorating your new home will have positive effects right away. Not only will you feel more satisfied with your new home, your family will enjoy it too! This is especially important if you have children, as moving can be very stressful for them. However, decorating the home will draw them right back into the old routine, easing the stress they feel. The weather outside is frightful – Goes the popular holiday song by Frank Sinatra. While Miami climate is on a mild spectrum, the weather is something you should keep in mind if you’re moving to it from another state or abroad. If you’re coming from a cooler climate area, you will probably start your journey in winter clothes, which might prove too hot for Miami’s holiday climate. So pack accordingly. Prepare a change of lighter clothes for when you arrive. Also, pack a bag or a suitcase of clothes fitting the Miami climate so you can have them at hand after the move. Even if you’re coming from a similar climate area, its smart to check out the forecast for Miami for the days around your move. Then just plan what kind of clothes will you be needing during the first few days of unpacking. Give away in the spirit of the holidays! Something that is advisable with every move is reducing the clutter. The whole process is just a perfect time to revise what you will need (and be bringing with you) and what you really don’t need anymore. 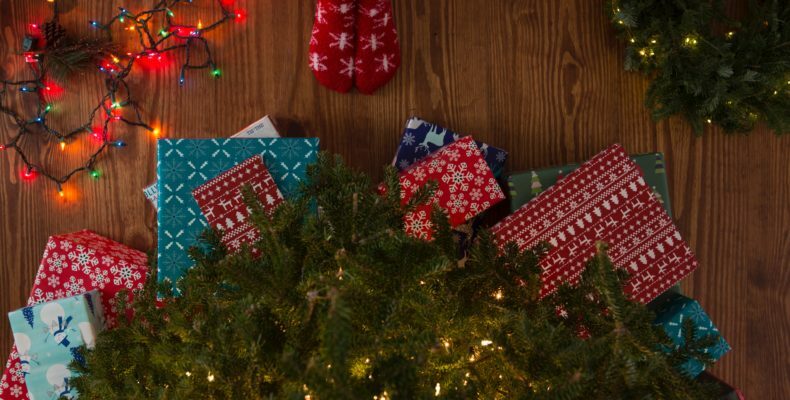 Now, while you could sell the items from your refuse pile, keeping up with the holiday spirit you could also give it away. Check with your friends if there’s something they’d like to have. Who knows, you might be giving your old couch or lamp a new home, while at the same time gifting a person dear to you. Gift your excess items to help ease your move. For the rest, call one of the donation services for the rest. Many of them will come to your place to pick them up, saving you precious time. first off, this helps with the moving process, leaving you with less to pack. It will also make you feel better. After all, being charitable is what the holiday season is all about! Now, this is what the holidays are all about. No matter if you’re just preparing or actually moving during the holidays, don’t forget to celebrate. Let yourself relax for a bit to prepare for the move or simply enjoy your new home. Replenishing your energy will do wonders for your move-related stress. Just don’t forget, plan well and pack smart, and it will be a breeze. Happy holidays!